3) What people think doesn ’t ( primarily) relate to the facts but to perceptions and emotions. That’s why in a country like Poland, immigration can dominate a national election debate, despite the country being 97% white catholic (and immigration levels being at a level where the immigration officers probably remember all the applicants names). 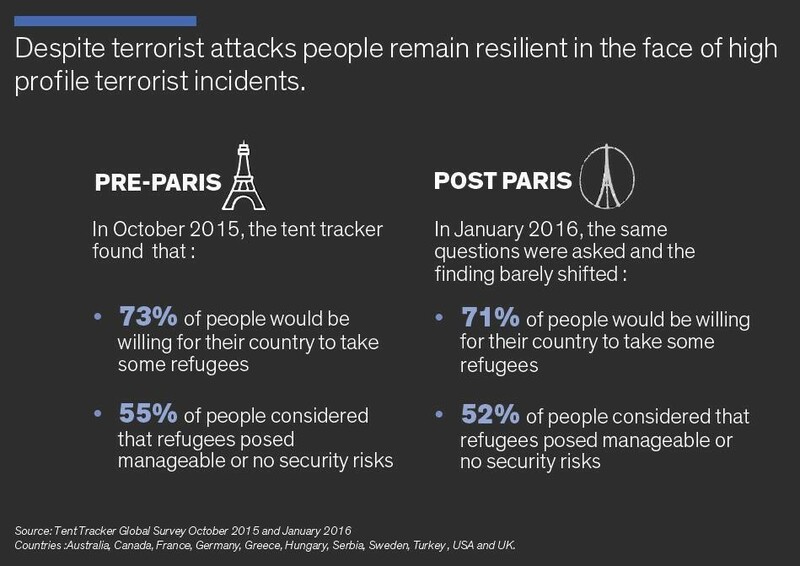 It’s why in the aftermath of the Paris attacks debates about terrorism and refugee policy have merged in many countries; despite the fact that no refugees were involved in the Paris attacks. The populist right are extremely adroit at exploiting this and tapping into people’s emotions, even where there is scant or even contradictory evidence. The supportive constituency meanwhile tries to combat this by ‘myth busting’. Not only does this not work, in most cases it actually reinforces the negative frames of the arguments they are trying to rebut. 1) Mainstream opinion is more progressive than you think. 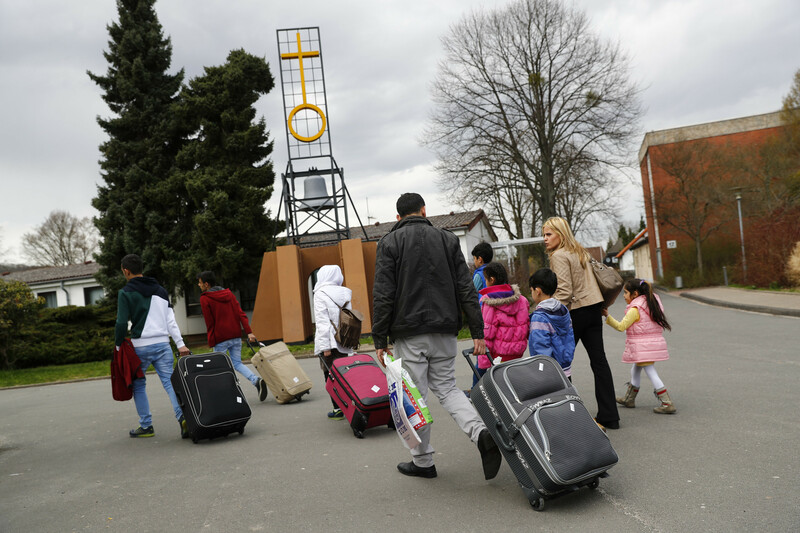 In a recent multi-country study , the Tent Foundation found majorities in every country (apart from Hungary) in favour of accepting refugees and an average across the countries of 73% in support. 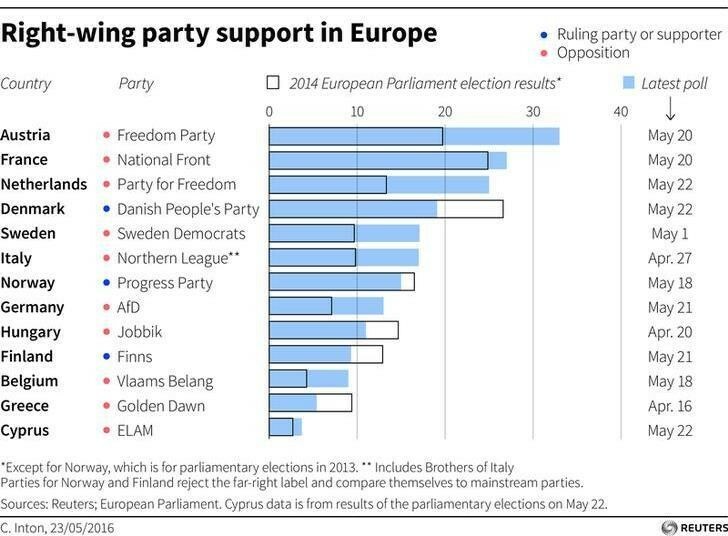 The populist right are hugely active but they are struggling to break out of their minority niche. Not only that but the attacks in Paris and assaults in Cologne - while they did change the media debate - didn’t substantially shift public attitudes. Support for refugees even after those events only fell by 2% (within the margin of error). This suggests that the base of public support may be more robust than many expected and a strong base on which to build.